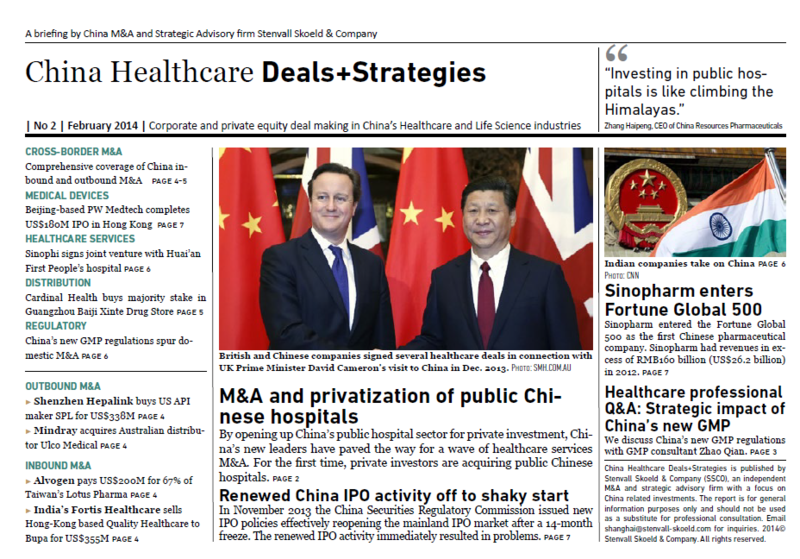 This post was originally published in the September 2013 issue of our healthcare newsletter China Healthcare Deals+Strategies. Subscribe (email) to our newsletter to learn more about our perspectives and insights on China’s healthcare sector. Dr. Thomas Xie (TX) is a wound care specialist at Shanghai Jiaotong University School of Medicine. How is healthcare reform impacting wound care? TX: It’s been a rapid development over the past five years. Hopefully we will see a more mature system taking shape in the next five years. TX: The aging population and a high diabetes prevalence rate (9.7%) are key factors driving demand for advanced wound care products. TX: Healthcare insurance only cover part of the fees and the patients have to bear most of the costs themselves. Healthcare professionals understanding of wound treatment have increased. Further training is necessary, but lack of faculty, experience and materials are holding back the development. What are foreign wound care companies doing right in China? TX: The most successful not only provide products, but also train doctors and nurses. Example of successful initiatives include Novo Nordisk-financed World Diabetes Foundation and Coloplasts’s Access to Healthcare initiatives. What about emerging Chinese companies? China Healthcare Deals+Strategies is quarterly briefing on corporate and private equity deal making in China’s Healthcare and Life Science industries.